Task analysis is a technique that is being applied with a fair measure of success to simplify seemingly complex activities for someone who may have trouble with it otherwise. One such task is the act of brushing your teeth. Something the average adult might take for granted could be quite confusing to the toddler or a child with autism. Thankfully, a task analysis simplifies complex tasks and even seemingly routine tasks to a much more manageable sequence of smaller steps that can help the child master the task. With something like brushing your teeth, the ultimate aim is to have the child learn to independently brush their teeth so they are clean. 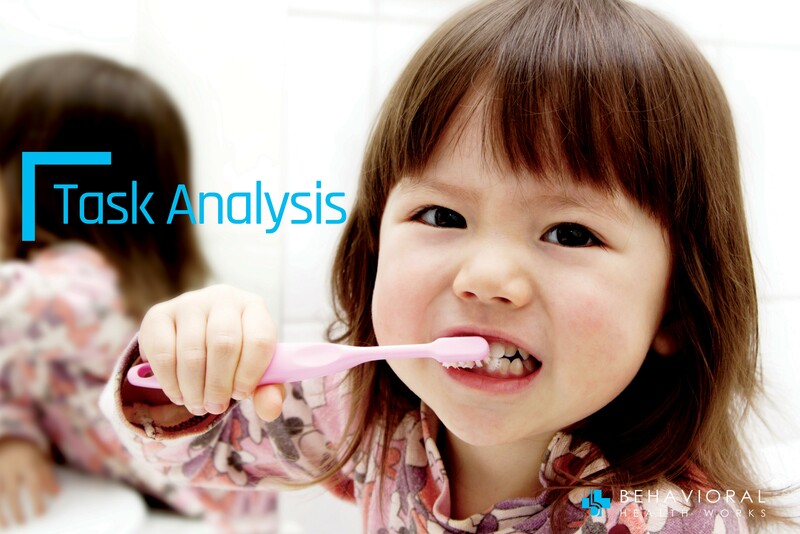 Rather than leave it to them to work out the details of how to get from a brush in their hand to sparkling pearly whites, a task analysis gives them a clear set of steps to follow. Because there is so much detail and clarity in a task analysis, it takes away a lot of the trepidation and concern that a young child may have. The fear of doing something wrong or the chance of an error is significantly reduced. This becomes especially useful if the child is learning a new task for the first time. Task analysis is a systematic approach to teaching new skills by breaking a task down into smaller steps. Studies have also shown that this improves the uptake of a new skill and may speed up the learning process itself. Children who learn to brush their teeth through a task analysis led approach mastered the skill much faster than those who were trained using other methods. If you were to look at brushing your teeth not as one big activity, but a series of steps to achieve the overall end goal of having brushed your teeth, then the merits of the method soon reveal themselves. First, pick up your toothbrush. Wash and rinse your toothbrush. Next, pick up your toothpaste. Open the lid of the paste. Squeeze out some paste on the brush head. Close the lid of the paste. Put down the toothpaste tube. Spit out any paste and saliva in your mouth. Place the toothbrush back in its holder. As you can see, what may overwhelm a child or someone with autism can be broken into a series of manageable actions to be done. The steps can even be modified and individualized for each child. For instance one child may have 5 steps in their task analysis and another child may have 10. It is not left to the child to figure out what they should probably do next. Instead, task analysis gives them a series of unambiguous instructions. If these steps are followed to the tee, and if used in combination with positive reinforcement, they should be successful in the activity of brushing their teeth.